NEW YORK (CBS) Leon Russell will be going into the Rock and Roll Hall of Fame next month with double honors - as the recipient of this year's Award for Recording Excellence. 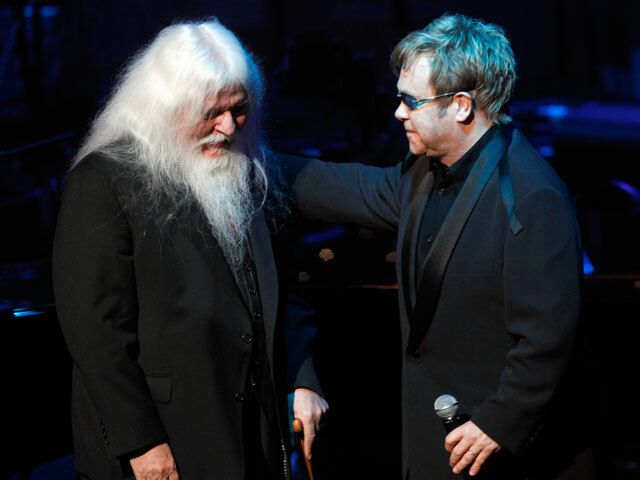 Russell will be inducted by British rocker Elton John, who appeared with the singer-songrwriter Wednesday night on "The Late Show with David Letterman." Russell and Elton have collaborate d on a r Grammy-nominated album 'The Union' and have been making appearances together in recent months. The 26th annual Rock and Roll Hall of Fame induction ceremony will take place on Monday, March 14,, at the Waldorf Astoria in New York .